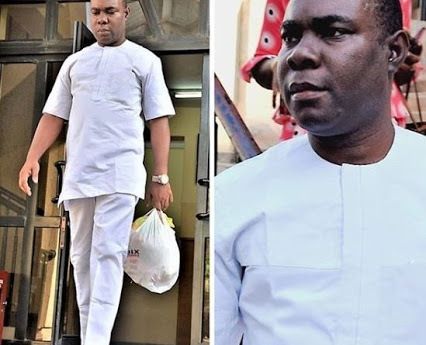 The Economic and Financial Crimes Commission, EFCC, on Monday, November 26, 2019, arraigned one Christopher Okeke alongside his company, Sanfill Nigeria Ltd. before Justice D.Z Senchi of the Federal Capital Territory High Court sitting in Jabi, Abuja. He's facing a two-count charge of obtaining by false pretence to the tune of N15,300,000 (Fifteen Million Three Hundred Thousand Naira). company to hack into the account of Chams Nigeria Ltd. and moved the total sum of N15,300,000 (Fifteen Million, Three Hundred Thousand Naira) only into his company, Sanfill Nigeria Ltd.